RAPAPORT... De Beers recorded its largest rough-diamond sale since mid-2018 as demand was steady following a slow first quarter. Sales rose 10% year on year to $575 million in the third sales cycle of the year, including last week’s sight in Botswana. That figure was 16% higher than the $496 million it sold in the previous cycle, De Beers said Tuesday. “As we move into the second quarter of the year, we saw a continuation of stable demand for our rough diamonds during the third cycle of 2019,” De Beers CEO Bruce Cleaver said. Revenues were down 11% to $1.57 billion year on year for the first three sales cycles, with disappointing holiday retail sales and weakness in the Indian manufacturing market resulting in lower-than-usual demand at the first two sights. The first quarter is usually one of the busiest periods of the year for the rough market, as dealers and cutters replenish goods following the holidays. Last week’s April sight was the last of the current sales period, known as an intention to offer (ITO). De Beers will inform sightholders of their rough-diamond allocations for the new ITO ahead of the next sight, which begins May 13. 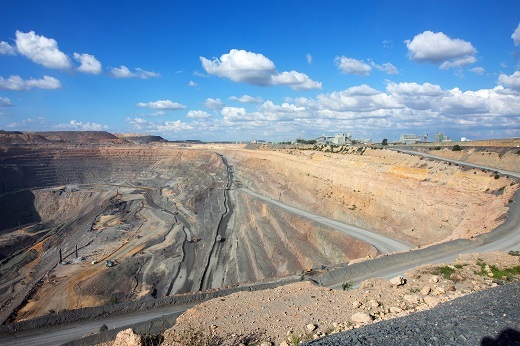 The miner expects to reduce its rough supply to sightholders during the new ITO, as production is set to fall this year.